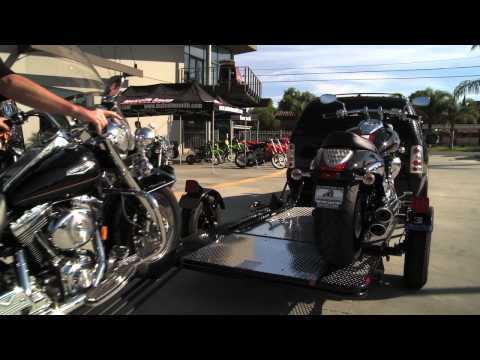 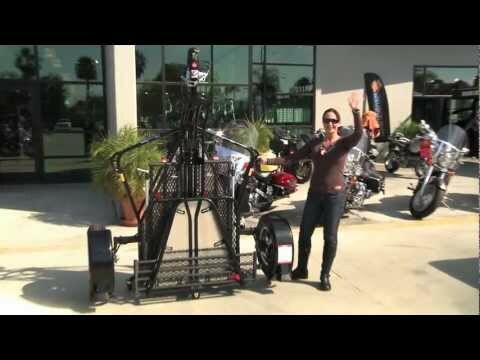 Trailer for Cruisers, including Goldwing and Harley, Sport Bikes and more. 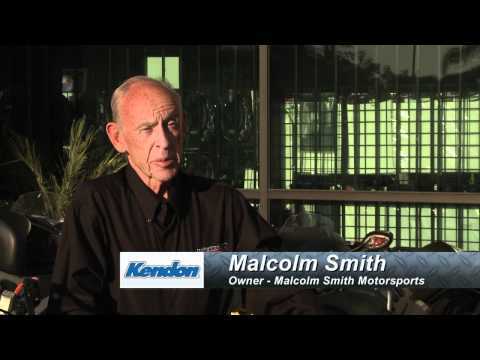 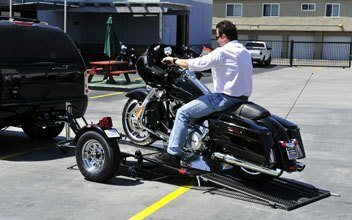 The Kendon Single-Rail Folding Stand-Up™ Motorcycle Trailer is our premiere single-rail trailer and incorporates the best we have to offer. 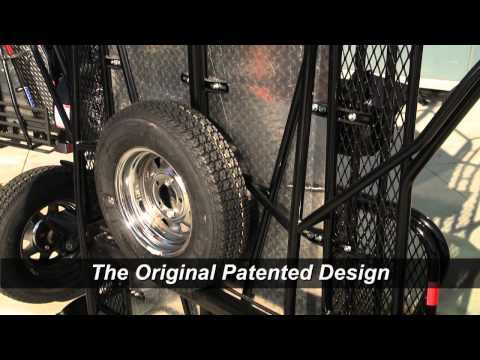 The Single-Rail SRL may seem small, but it packs a powerful punch of lightweight, user-friendly design and amazing, space-saving convenience. 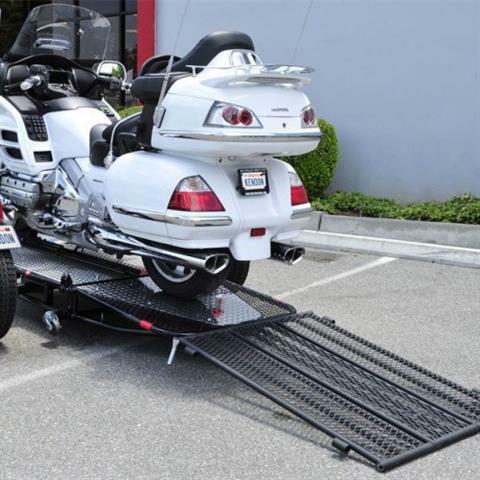 When in use, the Single-Rail Ride-Up trailer carries one full-size motorcycle with ride-on capabilities and Kendon’s renowned towing performance. When in storage, the Single-Rail Ride-Up takes up about the same space as a small bedroom dresser or chest of drawers. 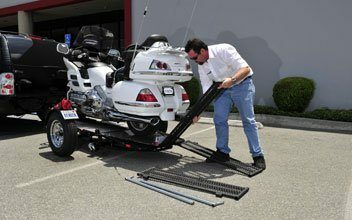 Thanks to our new Suspension Reactive Loading (SRL) frame geometry and suspension design you can now RIDE YOUR BIKE onto the trailer, making it much easier to load heavy, full-size bikes. 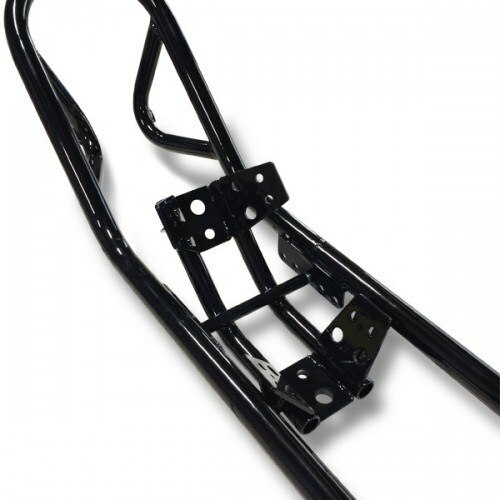 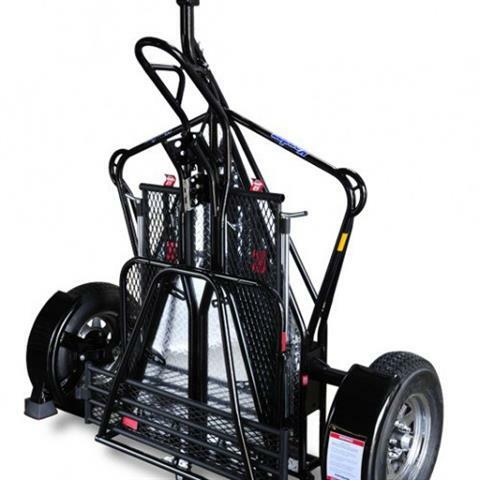 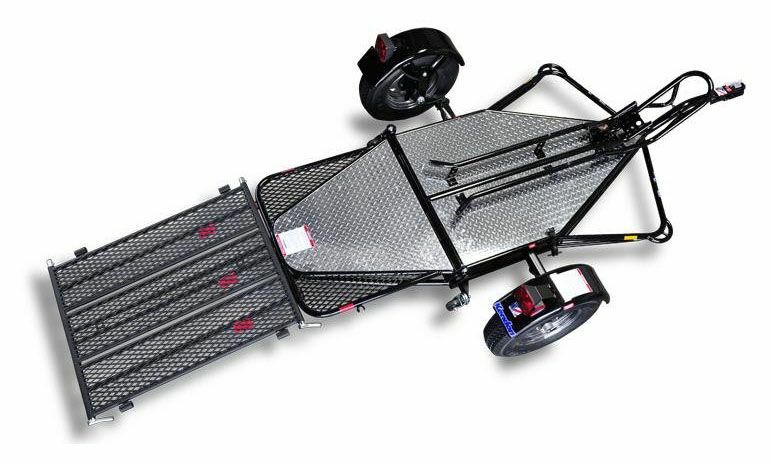 As you ride your bike onto the trailer the suspension compresses under the weight of the bike, virtually eliminating the ramp-to-trailer apex. 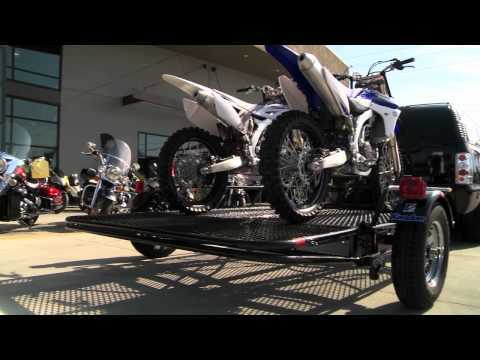 Once the bike is loaded, the suspension raises back up and levels the trailer. 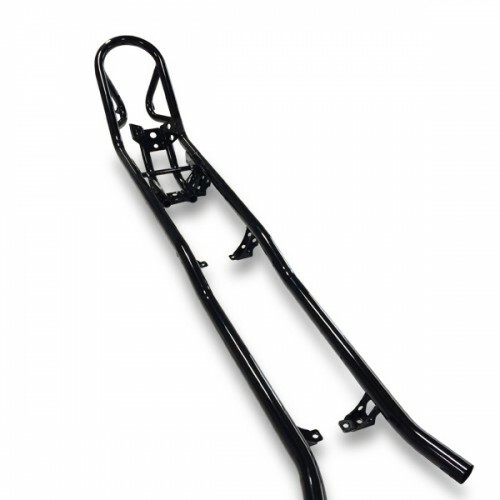 Area - Diamond shape front, rounded square rear, 35 x 84 in.